It seems that of late Seiko has spent considerable resources in designing and marketing fresh new designs in a concerted effort to gain a wider market share – especially amongst the younger consumers. Since early 2008, I noticed a strange influx of new models especially in their best selling Seiko 5 and Seiko 5 Sports range (development of their Seiko 5 Superior models appeared to be on a hiatus for now). New models, incorporating totally fresh designs and ones that seem to be rehashed from several older designs both flooded the display racks of watch stores particularly in Southeast Asia. I’m one of those old-school watch Seiko collectors who are quite resistant to the new offerings from the giant Japanese watch company. So many new models had been added to the Seiko 5 Sports lineup, like the SNZF-series “Monster Lites" for example – didn’t particularly appeal to me so I passed on it. Instead, I decided to save the money to buy one of the last pieces of the discontinued SBDA005 Ti Samurai, which in my humble opinion gives much more bang for the buck despite costing more than the Monster Lite models, which unfortunately none of them are true ISO certified divers. 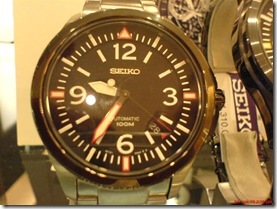 The year 2008 saw the introduction of Seiko’s latest automatic caliber – the 4R16. I first saw the first models based on the 4R16 at one of my usual local watch haunts in Kuala Lumpur but wasn’t particularly impressed with the inaugural models, namely the SRP013K and SRP015K. So when Richie the sales guy told me that these Seikos sported a totally new caliber, I naturally asked to have a look at them. The new 4R16 caliber presents an alternative to the ageing 7s36 caliber that has been around since 1996. Without the hand-winding and hacking capabilities of its more upscale 6R15 brother (found in the Sumo divers, the Spirit, Alpinist and Premier sub-ranges), the 4R16 appears to be strategically positioned between the 6R15 and the 7s36. While the 4R16 is considered a low end automatic caliber, it is by no means an entry level movement. That title truly belongs to the classic, long-lived and robust 7s26 caliber that lives and breathes in the basic Seiko 5 models and the SKX divers such as the SKX007K and the Monsters which are still produced to this very day. Above: A borrowed photo of an SRP015K showing its see-through caseback and the 4R16’s decorated oscillating rotor. 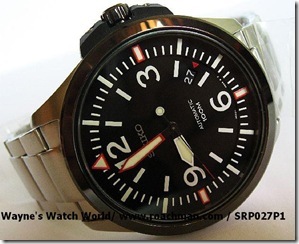 Now, this question had been intriguing some very inquisitive Seiko watch fans. Why was the 4R16 fitted with 22 jewels – a particularly strange jewel count? Its higher specification 4R15 comes with 23 jewels and so does the cheaper 7s36 caliber. Therefore the 4R16 is one jewel more than the basic 7s26 and one jewel short of the 7s36. It’s my personal belief that the 22-jewel count is part and parcel of Seiko’s marketing strategy. They wanted it to differentiate from their 7s-calibers, which had either 21 or 23 jewels depending on the movement. Therefore they settled on 22 jewels to make it unique amongst its existing mechanical calibers. My watchmaker was on his day off so I spoke to Danny, one of the sales assistants whom I had known for years. He asked if I had seen “the new Seiko automatics with the new movement". Thinking that he was referring to the SRP013K/015K that I didn’t like before, I told him that I had seen them before and wasn’t interested. “No, these aren’t the 4R16 models my friend. New 4R15, without day display", he told me with a grin. I thought that was pretty quick of Seiko to unravel a day-less calendar movement when the earlier 4R16 hardly had made inroads. To my surprise, Danny pulled out three new watches which I had never seen before, saying that he planned to put them on display later in the evening. So I was probably his first customer to have seen these watches in person! Top: Preliminary photos of the new 4R15 automatics, taken with my cellphone camera. From left to right: SRP027K, SRP029K and SRP025K. “Wow!" I blurted out. "Now these I haven’t seen before!" Danny smiled and went on to explain that his store had taken delivery of the new SRP automatics just the day before. He had yet to make room in his overcrowded Seiko glass display shelf for these beauties. With the new 4R15 models also came the new MRSP price structures. All the three models had list price tags of slightly over RM1,100 (approximately USD305), which put them slightly beyond the “affordable Seiko" price point that many people had been accustomed to. Of course, I’m not comparing the SRP-series to the much more costly Velatura, Arctura, Sportura and Premier models which are considered upmarket sub-ranges from Seiko. 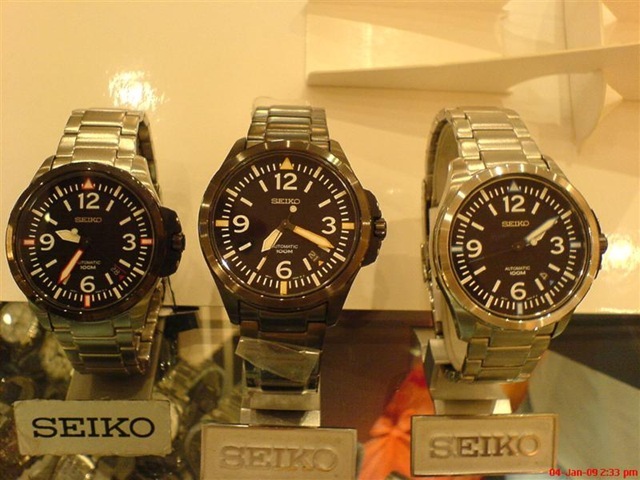 The new SRP-series, 4R15 watches were priced above non-diver Seiko 5 Sports watches, more like the defunct Seiko Criteria 7s36 dress watches back in 2004. Above: Close up pics of the SPR027K and SPR025K. Note the black resin crown guards. Truthfully, I liked these new SPR02xP models.  Danny and I agreed that they reminded us of certain expensive Swiss and German watches (the famous German brand Sinn crossed our minds) and they simply looked awesome on the wrist. 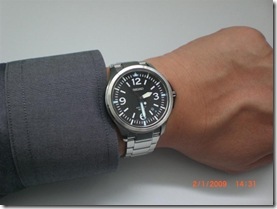 The only design quirk that bothered me a bit was the use of bolted-on, polycarbonate resin for the watch crown guards. Was this really necessary? Seiko could have molded the stainless steel case to incorporate nicely sloping crown guards as they have done in the past with numerous models. Wayne’s Watch World was probably the first amongst online SE Asian retailers to offer the 4R15 automatics. I really liked the clean-look, spartan dial with the Arabic numerals at the 12, 3, 6 and 9 o’clock positions. Reading the time is very easy and I can find no faults with the dial layout. The hands have that aviation, Flieger-like feel with the second hand painted black. Against the equally black dial, the second hand appears to disappear against the background, which I found quite interesting for a change. The tip of the second hand is color coded to match the minute hand and quarter hour marker accents. In the case of the “blue" SRP025K, its second hand has a blue tipped end. The watch has a nice heft to it and its 22mm stainless steel bracelet is of high quality with a triple-lock buckle with twin push buttons. No complaints in this department. 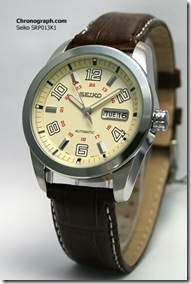 The crystal is made of standard Seiko Hardlex mineral glass with a very flat profile. It’s mounted on a rather thick bezel and somewhat draws parallelisms with the well known Citizen Nighthawk. The 4R15A mechanicals have wide display backs to show off its decorated “Tokyo-stripes" rotor and they look exactly like the 4R16A movement as portrayed in the picture earlier. Incidentally, the “6" in 4R16 means “day/date" while “5" denotes date-only. While I don’t expect the new 4R15 to rival its upscale brother – the 6R15 caliber, the least Seiko could have done was to incorporate a hacking mechanism (sadly it doesn’t). This would give the new caliber an edge over the non-hacking (and non-winding) 7s-series movements. Are the new 4R15 models worth buying? This is one of the kind of watches that you have to really see in the flesh to appreciate them. Mere photos won’t do the SRP02xP models much justice. In fact, if I hadn’t seen these watches personally, I wouldn’t even think of buying it from just looking at photos. If you’ve often lusted for one of the current model 6R15 Alpinists, Premiers or Spirits but don’t want to spend a lot for these higher end watches, have a second look at the new SPR02xP models. Did I buy one? Absolutely. I got an SRP025K recently but only on my third visit to my watchmaker’s store!  After giving careful consideration, I thought I’d try a Seiko 4R15 caliber for a change. Great review of a great-looking watch. I immediately thought of the Sinn 656, too. I own a SNDA65, which also looks like a Japanese cousin to that watch’s line. You mentioned that Sinn is Swiss, but I must correct you: it is a German company. Keep the enjoyable work! I always look forward to reading your posts. In my haste to get the post over with, I totally forgot that Sinn is a German watch brand (otherwise, why would the GSG-9 Special Forces have a special edition Sinn UX?) I also own an SNDA57P chrono, which is the earlier version of your SNDA65P. I haven’t seen the SNDA65P for sale in my country yet and if it had been released together with the SNDA57P, I would definitely have chosen the former. Hi. Great watch! Where can i buy them from internet? I saw this Sinn look-a-like at Seiko store right next to my favorite restaurant. Love it, but annoyed by the plastic! If I decide to get one, I’d probably get the black anodized version so that the plastic would kinda blend in with the watch. I think the SRP-series 4R15 watches are quite attractive in their own right, perhaps save for the plastic/resin crown guards. 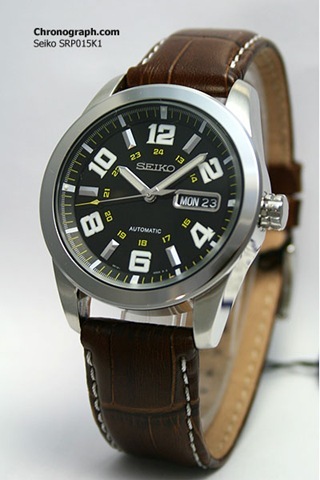 However, I got over them and it’s one of my favorite contemporary Seiko timepieces. If you’re getting the TiCN anodized model, take care not to get the black surface scratched. If the coating isn’t deep enough, you’ll be left with a really ugly gash revealing the base stainless steel underneath the coating. For this reason, I have always avoided TiCN coated Seikos if I can. I am waiting for review.  with a lot of pictures. Great review. Definitely thinking of getting one of these watches. Deciding between the SRP025 or SRP029, how durable would you say the TiCN coating is on the SRP029? I’ve never had experiences with watches that use TiCN. Personally I prefer the stainless steel look as opposed to black TiCN coated finishes. Seiko’s TiCN coating is glossy and if you get a deep gash, you can’t polish the scratches off short of having the surface refinished. A deep scratch will reveal the lighter colored steel finish underneath the glossy black coating, it won’t be a pretty sight. I’m not a fan of TiCN coated watches either. Great preview, and excellent shots. Thanks for sharing. One question though: how is the 4R15 better than the 7s26 caliber? What are the improvements? Is it more accurate than the 7s26? The 4R15 (and its day/date sibling, the 4R16) is slated between the 7s35/7s36 and the 6R15 caliber. Personally I think it’s a stripped down version of the 6R15, with no hand winding or hacking feature. Granted, the 6R15 movement is more expensive due to its hand winding capability but the least Seiko could have done was to incorporate a hackset mechanism for the 4R-series (it wouldn’t cost much anyway). The odd 22-jewel count is most probably a marketing decision rather than one of a functional value, presumably to differentiate it from the 7s26 (21 jewels) and the 7s36 (23 jewels). Accuracy wise, I have no idea as the SRP025K watch that I bought came with a generic 7s-caliber manual. The store owner said he wasn’t supplied with the 4R15/4R16 user’s manual. However going by Seiko’s published standards for their low end movements, the accuracy is estimated to be within +/- 40secs per day or better. The 4R-series movements have a slightly larger oscillating rotor compared to the 7s-calibers. If it (the 4R15) is indeed closer to the 6R15, its power reserve should be 50 hours. Congrats for the profi review ! I liked it and now am happy I’ve discovered your site, as I learned so much from it – shared it with my friends. Waiting for the deeper insight ! Btw, I have a Sinn U1 and when documenting it some more i got redirected here by the searcengine. Do you know of any other watches that look like Sinn’s / U1 ? thanks ! Thank you for the compliments and congratulations on owning the Sinn U1. 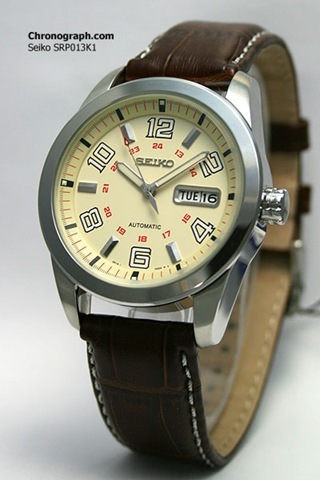 It’s a great watch but I really prefer Seiko, Citizen or Orient brands. I’m afraid I don’t know any other brands that look like the Sinn U1 or UX. However, I did briefly mention the Sinn UX in a previous post. Seiko has released a true diver’s watch that slightly resembles the Seiko SRP02xK’s dial. It’s called the SRP043K. I apreciate your prompt reply and help. 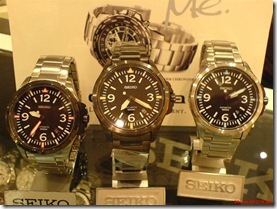 I feel close to Seiko-Orient & Citizen family as they are ‘really good bang for the buck ! ‘ Keep in touch ! Yes, I concur with you that the SRP025K and its siblings are very attractive watches. They’re also the first batch of models based on the 4R15 movement, which lies in between the cheaper 7s calibers and the more upmarket 6R15 models. It was a matter of time before Seiko decided to release 4R15-based diver’s watches (which they eventually did), such as the SRP043K diver. I’m divided whether to get the SRP043K as traditional diver’s watches usually don’t use Arabic numerals. The use of sapphire glass would be welcome, but would push the price of the SRP-series sports watches higher. 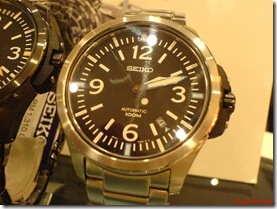 Seiko usually uses sapphire in their more upscale models. Even then, sapphire is not 100% scratch-proof and shatters easily compared to mineral glass (Hardlex). I enjoyed your review of these various siblings and related calibers very much, it’s a review that was well done mate! I would agree to use or choice of crystal Seiko used in the new revised 4R15, the hardlex for all intense purposes is a smart choice and use for these sports designed watches. 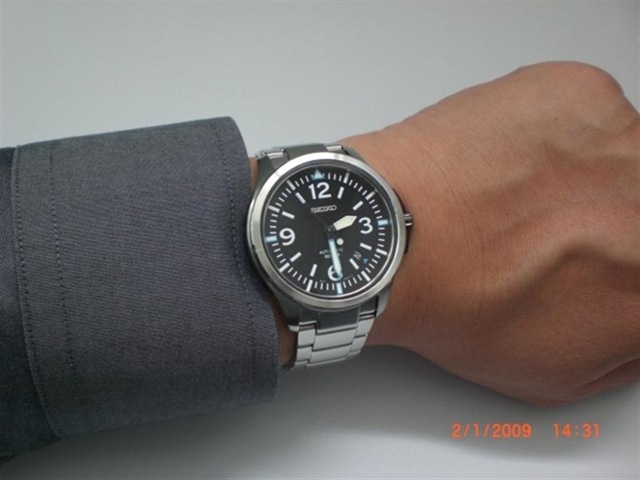 I look forward to your indepth review of the watch you picked-up, and while I may mingle into the 4R15 market it’s more likely that I will opt out and step into the foray of the 6R15 caliber divers with regards to the awesome Orange dialed SBDC009 and it’s black dialed brother, with the advantages of the hacking/handwinding capability it really is one caliber I have been seriously looking at diving into. Well done Zami my friend, and it’s always nice to stop by and read your detailed Blog! SBDC009? Personally I never liked those titanium models. Its expensive titanium finish is notwithstanding its high asking price. The design looks more like an afterthought rather than the iconic and original stainless steel Sumo series. Seiko watches are supposed to commensurate with what you pay for and IMO, the SBDC007/009 are more expensive than what they’re really worth. The SBDX001 Marine Master, although pricier still – gives you more value for your money. If IWC/SINN/Doxa/Omega made something exactly like the MM, they would charge you threefold! Bought this watch after reading this review..
have to say an awsome watch the photos do it no justice. Yesterday I bumped into a door and the glass shatterd.. WTF a freak accident?? Dont know if I will purchase the same again. I’m sorry to hear of your misfortune. 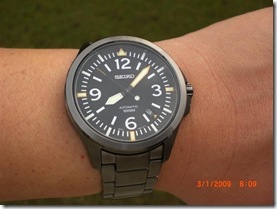 Generally the Hardlex crystals used in Seiko watches are reasonably tough. However the 4R15 SRP-series sports watches have a pretty large surface area. You may have hit a weak spot on the crystal causing it to fracture. Sometimes freak accidents happen. Have your watch’s glass replaced ASAP. Sorry a bit off topic. Mind telling me where is your watchmaker? 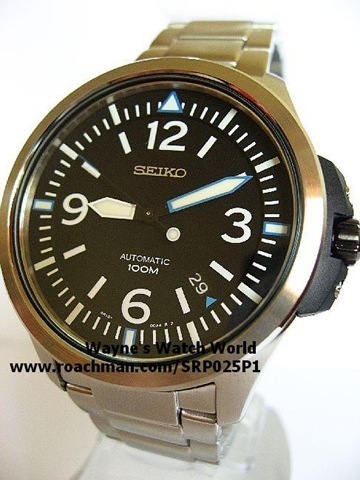 I would like to get one of my Seiko’s watch cleaned. Seems to have some moisture in it. I suspect it was developed due to the calibration work done at the KL service centre previously. I have some free time tomorrow. Hopefully you can let me know today. Thanks a lot. Love your blog. Very informative. My so-called watchmaker works at the Hing’s Watch store, Jaya 33 building in Petaling Jaya, Section 14. Removing trapped moisture from your watches is a simple procedure once the movement has been removed from your watches. It’s a matter of wiping away the water vapor from the inside of the crystal with a lint free jeweler’s or optical cleaning cloth. The tricky part is removing the the movement once the caseback is pried off. Any watch salesperson who routinely changes watch batteries with experience in separating the movement from the the watch case (and reassembling it perfectly) can also perform the same job. It doesn’t have to be a professional “watchmaker” to remove trapped moisture in a watch. Do note that some watches with complications, e.g. perpetually rotating inner dial rings might be tricky to reassemble, depending on their design. Thanks for your reply, Quartzimodo. And thank you so much for having a blog like this. Really help out Seiko newbies. I will pay Hing’s a visit. It’s so jam to visit the centre of KL just to get a watch serviced. May you stay in good health always. Just came across this post. Nice. Newb quesion: Is the black resin crown guard removable? Sorry for the late reply. Yes, the crown guards are removable via two small screws. 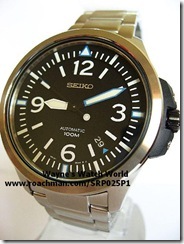 In fact, all other Seiko watches with resin case/crown guards can also have them removed for cleaning/servicing. 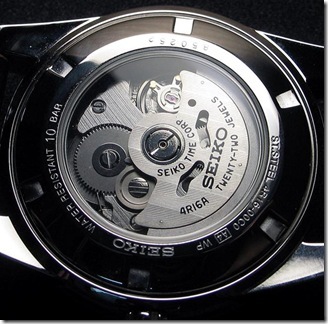 Seiko doesn’t use superglue to attach the resin parts, therefore metal screws are used. I haven’t been checking on the SRP02xK series lately and I think they’re still available today although I can’t verify if these models have been discontinued. 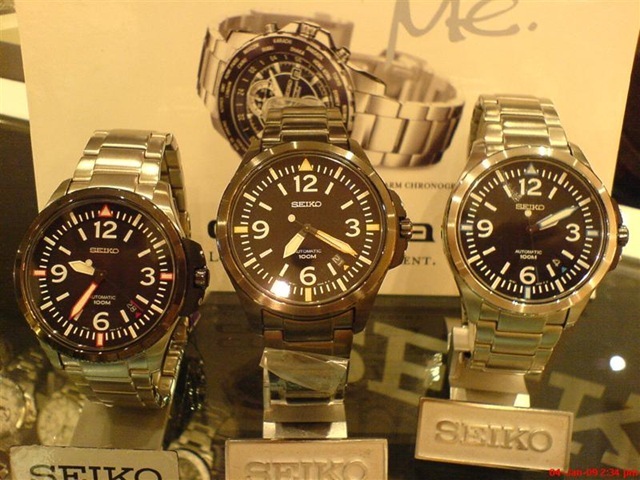 These models are nearing their 4 year old market life already and Seiko is known to discontinue models that they feel that aren’t selling that well.